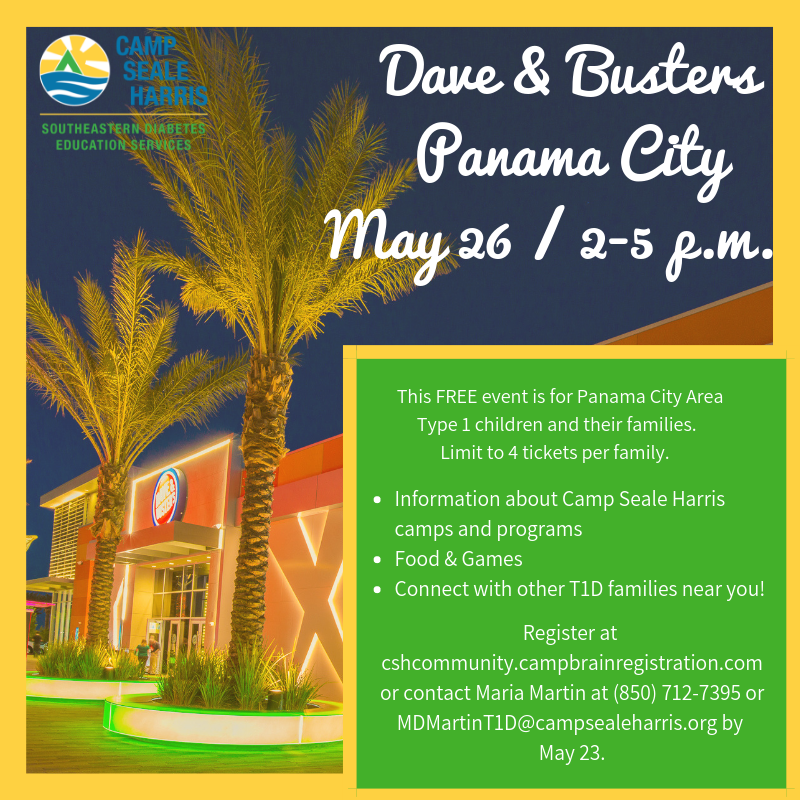 Join Camp Seale Harris and your T1D friends at Dave and Buster’s in Panama City on Sunday, May 26 from 2-5 p.m. This FREE event will include diabetes education, information about Camp Seale Harris programs & events, and of course games for all ages! This event is for children with diabetes and their families. Limit 4 attendees per family.